THE SIKH NUGGET: Sikh heritage sites in Pakistan in ‘poor shape'. Sikh heritage sites in Pakistan in ‘poor shape'. Bobby Bansal outside the Sheikhupura Fort in Pakistan. 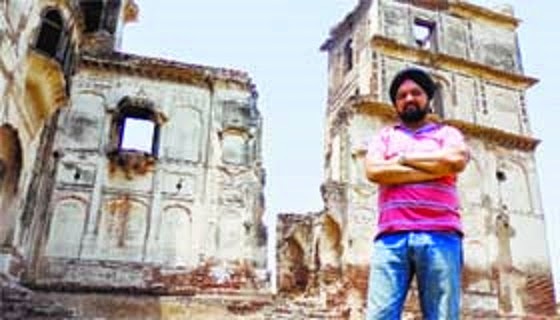 Amritsar, Punjab: After his visit to Pakistan recently, UK-based Sikh historian Bobby Singh Bansal feels though Pakistan has several forts and palaces dating back to Maharaja Ranjit Singh’s era, there was a dire need to restore and preserve these for the coming generations and to sensitise Pakistanis about their significance. Talking to The Tribune here, Bansal said he had visited Pakistan to gather information for his book titled “Remnants of the Sikh Empire — Historical Sikh Monuments in Pakistan and India”. 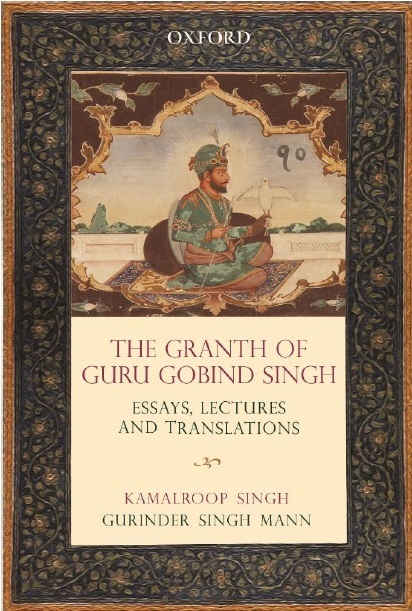 The book would be a catalogue of Sikh monuments connected with Maharaja Ranjit Singh’s courtiers. It deals with forts, havelis and palaces that still stand in Pakistan although some are on the verge of collapsing. These include rare forts in Khyber Pakhtunkhwa associated with General Hari Singh Nalwa, he claimed. He said he had visited two of these forts, Bara Fort and Jamrud Fort. Bansal, who also visited Sheikhupura Fort where Rani Raj Kaur, the Maharaja’s first wife resided, was disappointed to find it in a shambles. “The fort showcases the Sikh architecture at its best. The queen lived at the fort until her death in 1838. Sadly, the fort has been partially damaged. A section of the outer portion, especially the arched entrance, has collapsed.” He said it was a structure comprising three floors with an elevation of 16 metres. Though a protected monument, numerous graffitis had tarnished the rare frescoes. The walls were embellished with colourful artwork depicting scenes of the Sikh court and Hindu deities. Bansal said various heritage structures associated with Maharaja Ranjit Singh era were vandalised in Pakistan after the demolition of Babri Masjid in 1992. A few were restored later. He said there was a need to sensitise the people in Pakistan about the heritage. He emphasised the need to open the doors of museums and heritage buildings for Indian pilgrims visiting Pakistan. He claimed that a number of heritage structures in Pakistan had been seized by the local mafia. On heritage structures in India, Bansal said he was not happy. He referred to the “baradari” of Maharaja Ranjit Singh at Pul Kanjari village near Attari which is in a poor state.